Bothell is a perfect suburban haven located at the top of Lake Washington, just 20 miles north of Seattle. With the quiet charm of suburban living but all the amenities of a city, Bothell is the ideal place to raise a family! The city also has one of the top 10 school districts in the state. Bothell is also home to a University of Washington branch campus. 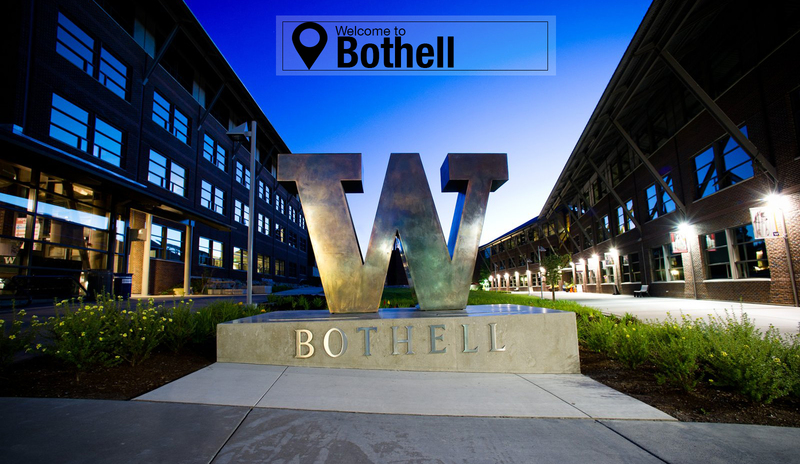 UW Bothell has been experiencing rapid growth and great success in recent years. UW Bothell is currently one of the top 10 fastest-growing public universities in the nation. Bothell was founded as a logging and shipping city along the Sammamish River in the late 1880s, but after Lake Washington was lowered in 1917 to create the Lake Washington Ship Canal, the Sammamish River was no longer high enough for large logging boats to pass through. For a number of years most Bothell residents worked in Seattle, but within the last 20 years Bothell has become home to almost 20 biotechnology companies and has made a name for itself in the industry. The city is also in close driving distance to the Microsoft headquarters, Amazon, and Boeing. The revitalization of downtown Bothell is currently under way. Although Main Street is still under major construction, the Anderson School McMenamins is finished and is a great place for a movie, a fancy dinner and drinks, or family fun! The Anderson School McMenamins is our favorite place to visit in Bothell. The historic, remodeled, school building now has multiple bars and restaurants, a quaint movie theater, a hotel, event space, and even a community pool!